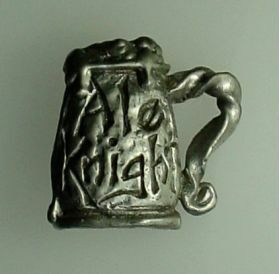 Technically the militant wing of the Guild of Saint Arnold (the Brewers Guild), the Ale Knight lives a of life ribald revelry, stout (get it? Stout!) loyalty to one's comrades and a devoted love of all things brewed. They are reputed to be on a never ending Quest in search of the Wholly Ale, an eternal pub crawl to the ends of the soggy earth, conducted with, if not solemnity, then at least a designated drover. Join the Quest and raise a toast to The Company!